World Food Day, celebrated around the globe on the 16th of October is the commemoration of the date of the founding of the Food and Agriculture Organization of the United Nations in 1945. The rationale behind observing the day is to create awareness about hunger and malnutrition prevalent around the globe. On the occasion of World Food Day, Kellogg's, the leading breakfast cereal brand undertook the responsibility of providing a nourishing, wholesome and delicious start for underprivileged children in the metros of India in order to help deal with the issue of hunger and malnutrition that is highly prevalent here. 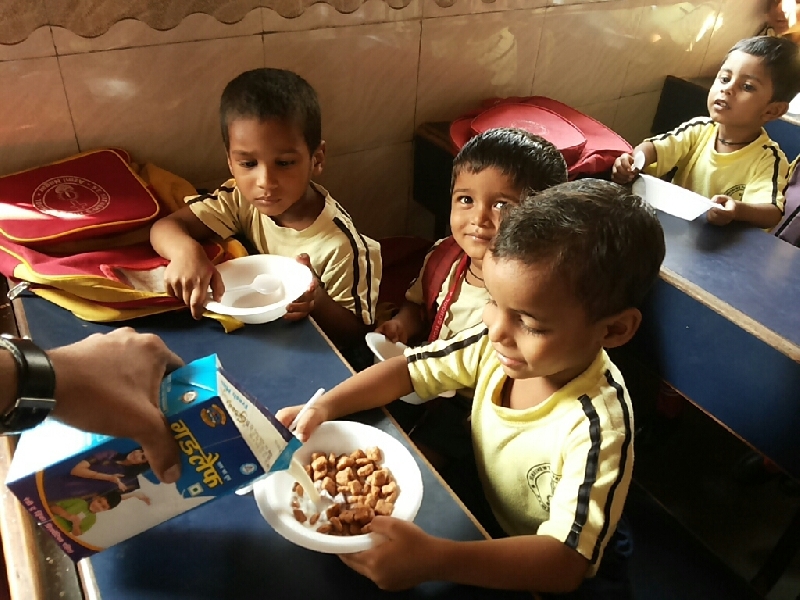 The breakfast meal that consisted of a bowl of nutritious Kellogg's cereal and milk was served to 20,000 children in the cities of Mumbai, Delhi, Chennai and Kolkata. This event was targeted towards the children who are deprived of wholesome nutrition, due to their financial circumstances. The meal was served in municipal schools, shelter homes and orphanages in the four cities. The event saw an active and cooperative participation of the Kellogg's employees across the four centers that not only just served the meal but also invested their time in individually interacting with the children at the centers.